Porsche wishes to start limited production of the 918 Spyder in September 2013, in which the firm will be taking orders on the plug-in hybrid supercar. Initially, starting with 918 units, the 918 Spyder will be produced at the Stuttgart-Zuffenhausen facility in Germany at the cost of £563,000 ($845,000/€645,000) for customers, subject to VAT and country-specific charges. 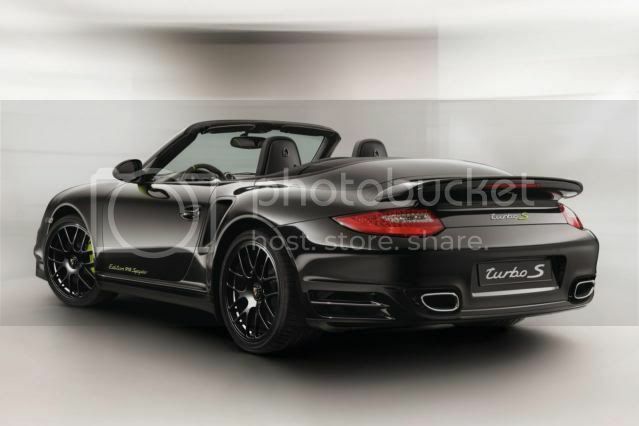 While the may sound steep, here's the catch; Porsche will also bundle in a special edition 911 Turbo S "Edition 918 Spyder". This won't be available to purchase through dealerships, only customers who order a 918 Spyder will be able to obtain one, in both coupé and cabriolet forms. The 911 Turbo S special edition will be delivered to European consumers in June with German prices for the coupé priced at €173,241 and €184,546 for the cabriolet. American prices start at $160,700 for the coupé and $172,100 for the fabric topped cabriolet, with British sticker prices start from £125,865 for the tin-top and £133,553 for the drop-top. Powerstation details remain a mystery. According to the company, a rear-mounted V8 petrol engine, with a displacement of "more than 4.0 litres" will produce 493bhp (500PS/368kW). 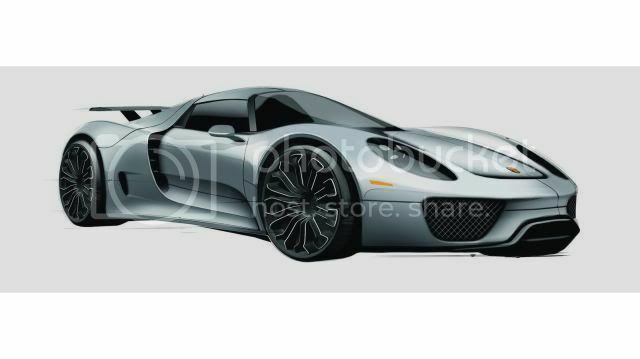 Two electric motors – kicking out 215bhp (218PS/160kW) each – will give the 918 Spyder all-wheel-drive abilities. 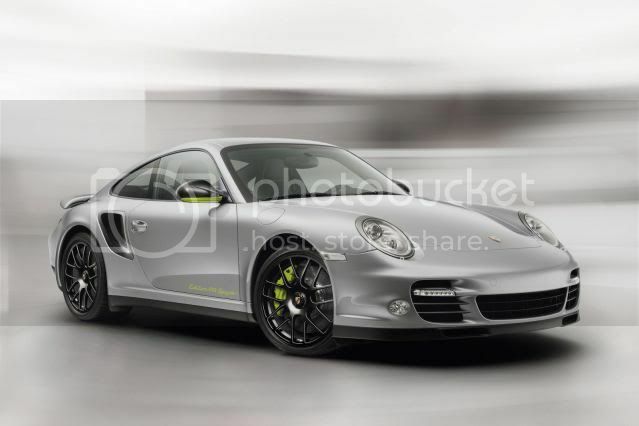 Mating both the engine and electric motors, total power output is expected to reach 923bhp (936/688kW). With a 7 speed double-clutch PDK transmission, the plug-in hybrid supercar will reach 60mph (96km/h) in 3.1 seconds, before topping out at 199mph (320km/h). Porsche claims combined fuel economy will be 94.1mpg (3l/100km), while CO2 emissions will be a mere 70g/km or 112g/km per mile. An electric range of 16 miles (26km) will be provided via a liquid-cooled lithium-ion battery, that offers a top speed of 94mph (151 km/h).